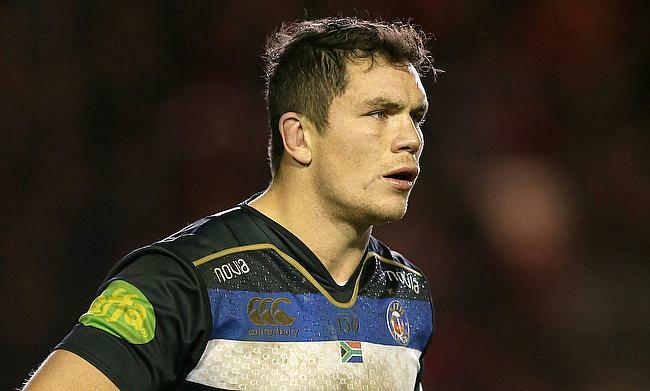 Bath flanker Francois Louw admitted that his side's 28-25 defeat to Stade Francais in the semi-final of the European Challenge Cup was hard to digest. After Stade Francais led the game in the first three quarters, Bath amassed three tries in a span of eight minutes with Semesa Rokoduguni, Robbie Fruean and Elliott Stooke crossing over as Todd Blackadder's men had a seven point lead heading into the final five minutes. Despite having momentum on their side, Bath allowed Hugh Pyle to score a decisive try in the 77th minute while Jules Plisson added a conversion followed by a drop goal to help the French team gain a three point lead. George Ford had an opportunity to level the scores but missed out on a crucial penalty in the 82nd minute that ended Bath's campaign in the tournament. "It's very tough to take. It was tough at the start, we didn't begin very well. But we got ourselves into a good position with 10 to go and we thought we had it," said back-row forward Louw. "We didn't in the end, but we have to be very proud of the boys for getting back into the game. I suppose it wasn't meant to be today." Speaking about Bath's decision to go for the penalty kick in the added minutes, Louw said: "What happened was that the referee notified me there wasn't enough time to take a line-out. It was a straight choice between a scrum or trying to draw the game. "An extra 20 minutes of rugby would have been tough for everyone and the way the game went, the scrum wasn't our strong point. We tried for extra-time, but it wasn't meant to be. "There is no doubting the resilience of the guys, but our weakness is not closing games out." Stade Francais will now take on Aviva Premiership side Gloucester in the final of the tournament to be played at Murrayfield Stadium on 12th May.